Arabic culture has always been a major influence on design and architecture all around the world. And Arab architects draw inspiration from this culture and merge it with the natural surroundings to create amazing designs. Some of these Arab architects have made their mark on the world of architecture and design; their names will always be associated with creativity and brilliance. Here are some of the most famous contemporary Arab architects who are keeping Arabic architecture in the spotlight. Some of them have passed away, but their work will live long after them. Born on the 31st of October 1950 and died on the 31st of March 2015, Dame Zaha Mohammad Hadid was an Iraqi-British architect. Not only was she one of the most renowned architects across the world, but she also was the first woman to receive the Pritzker Architecture Prize, in 2004. She received the UK’s most prestigious architectural award, the Stirling Prize, in 2010 and also in 2011. In 2012, she was made a Dame by Elizabeth II for her services to architecture, and in 2015 she became the first and only woman to be awarded the Royal Gold Medal from the Royal Institute of British Architects. Her work includes the aquatic center for the London 2012 Olympics, Michigan State University’s Broad Art Museum in the US, and the Guangzhou Opera House in China. Some of her designs have been presented posthumously, including the statuette for the 2017 Brit Awards, and many of her buildings are still under construction, including the Al Wakrah Stadium in Qatar, a venue for the 2022 FIFA World Cup. 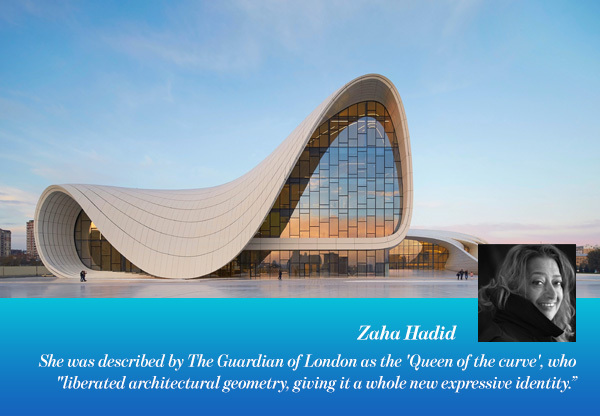 Zaha Hadid’s work, known for its neo-futuristic design, spans the globe; she will always be remembered through her creative designs. Another woman who has made a mark as one of the brilliant Arab architects is Shahira Fahmy. Born in 1974, Shahira is an Egyptian architect. She is the founder and principal of Shahira Fahmy Architects (SFA), which was founded in 2005 in Cairo, Egypt. She won the Loeb Fellowship at the Harvard Graduate School of Design for 2015 and is currently a recipient of the Berkman fellowship of Berkman Center for Internet & Society for 2016 at Harvard Law School. Shahira Fahmy is an Adjunct Assistant Professor at Columbia Graduate School of Architecture at Columbia University and has been since 2014. 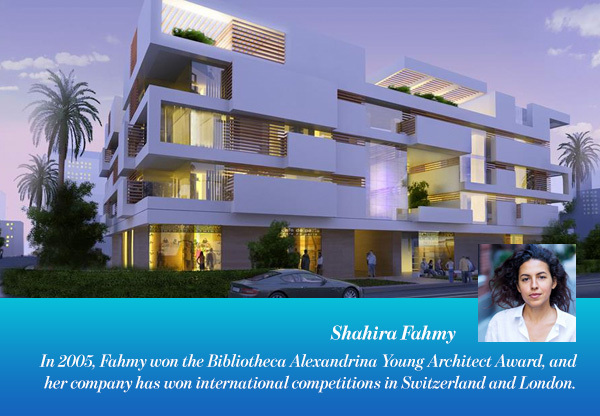 In 2005, Fahmy won the Bibliotheca Alexandrina Young Architect Award, and her company has won international competitions in Switzerland and London. Born 1945 in Palestine, Rasem Jamal Badran is a Jordanian architect from a Palestinian descent. His designs are based on defining Architecture as a continuous dialogue between contemporary needs and historical inherited cultural values. Rasem Badran graduated in Architecture from Germany in the late sixties. He is known for his futuristic design approach and is considered one of the leading symbols of contemporary Islamic architecture, and one of the most famous Arab architects. 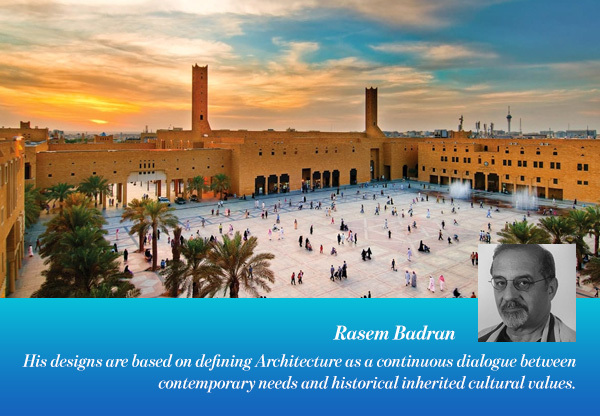 Badran’s work has won several awards and competitions across the world. Born on August 19, 1968, Bernard Khoury hails from Beirut, Lebanon and is renowned for his work in designing new buildings from old, abandoned locations, which worked well with the war-torn buildings of Beirut. Bernard pursued his architectural studies in the United States of America, where he received his Bachelor of Fine Arts in 1990 and Bachelor of Architecture in 1991 from the Rhode Island School of Design, followed by a Masters in Architectural Studies in 1993 from Harvard University. Khoury started his professional career soon after his graduate studies in post-war Beirut, which became his territory of experimentation and where he worked mainly on redesigning torn buildings. During the early years of his practice, he was financially supported by his family’s furniture manufacturing business that provided him with a design studio and gave him access to the workshop and manufacturing facilities of their factories. 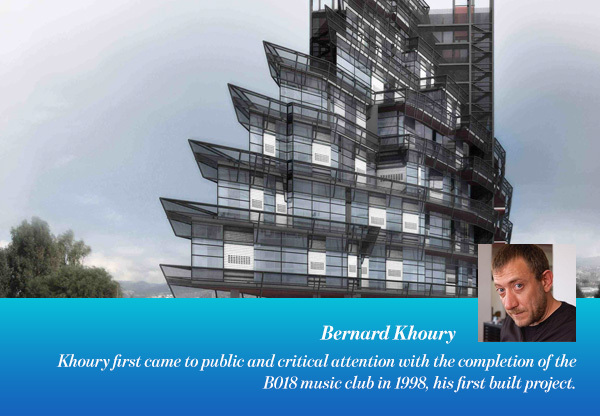 Khoury first came to public and critical attention with the completion of the B018 music club in 1998, his first built project. This building sparked a string of temporary projects; these include the BLC Bank (2004), the Bank of Beirut pavilion in Chtaura (2005). His first international commission, the Pfefferberg Project, was in Berlin, Germany 2001, and consisted of the conversion of an industrial block into a cultural quarter. Born on 13 May 1946, Basil Al Bayati is an Iraqi-born architect and designer who has lived and practiced for the most part in Europe, in particular, London. 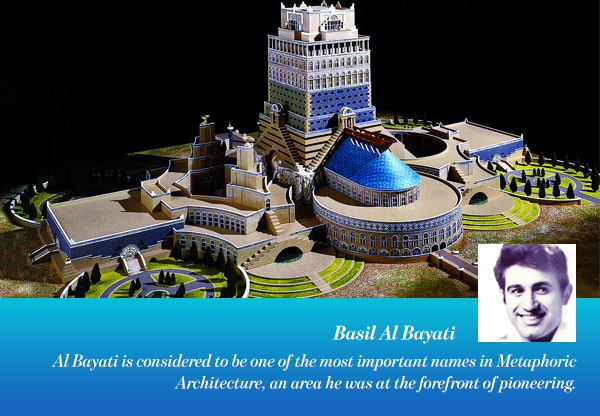 Al Bayati is considered to be one of the most important names in Metaphoric Architecture, an area he was at the forefront of pioneering. Metaphoric Architecture uses analogy and metaphor as a basis for architectural inspiration. He is also the inventor of what he termed “the mechanism of the wasitah (or excitor apparatus)” a geometric feedback mechanism for generating form and a method he himself often uses in the design process. Throughout his almost 50 years working in the field of architecture, he has also designed furniture and art pieces for the household using such varied techniques as metalwork, inlay, glass and ceramic work and stonework. He is also the proud author of 9 books, mainly on architecture but also fantasy, fiction and autobiography. He currently resides in Málaga in the South of Spain where he runs a successful architectural practice and cultural center as well as continuing his writing.